Green People Intensive Repair Shampoo is formulated from a rich blend of organic plant extracts, Vitamin B5, green tea and plant protein to help strengthen and repair damaged and weak hair. It contains a Horsetail infusion to replenish natural oils and enhance shine, uses Sandalwood and Aloe Vera to soothe and calm irritation, and fortifies the hair from within with Wheat protein and B vitamins. Even better, this wonderfully gentle formulation is also highly concentrated; so it lasts approximately three times as long as conventional brands (200ml is equivalent to 600-800ml of most ordinary shampoos). Contains a 'colour lock' system to protected coloured hair. 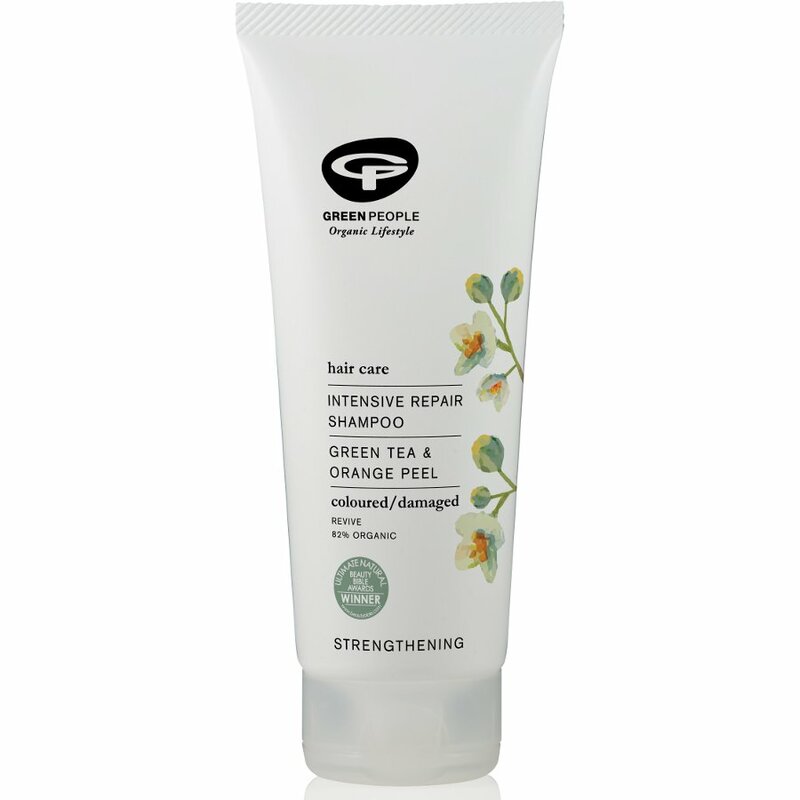 Green People Intensive Repair Shampoo is made without SLS/SLES, alcohol (ethyl alcohol, ethanol), parabens, phthalates and artificial fragrances. 100% certified organic, 82% certified organic ingredients. Suitable for vegans and vegetarians. 200ml. There are currently no questions to display about Green People Intensive Repair Shampoo - 200ml.